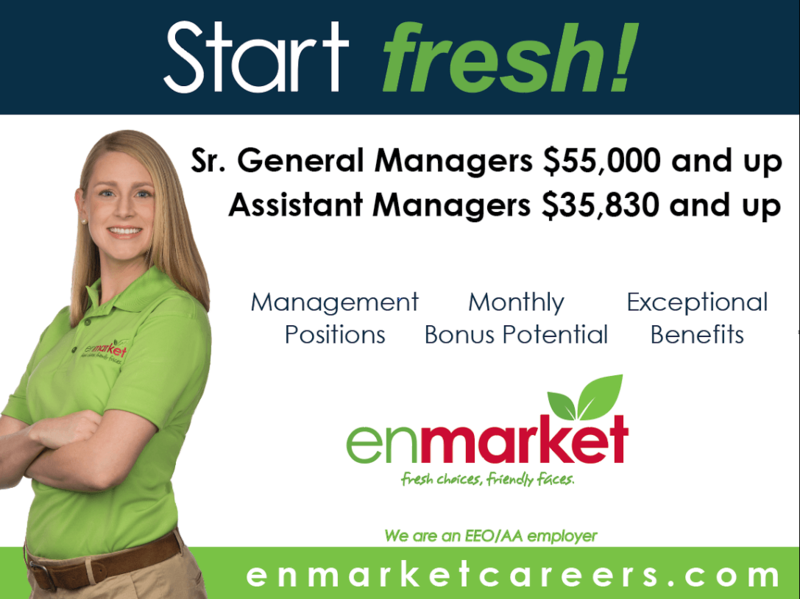 (SAVANNAH, GA) Enmarket, (formerly Enmark) has announced it is investing over $500,000 per year to increase the starting salaries of its convenience store employees and has raised its senior general manager earnings potential to a minimum of $55,000, with a profit sharing bonus. This decision underscores the company’s commitment to building the best workplace in the retail industry. The employment requirements for managers and senior general managers were also strengthened to attract candidates with higher levels of education, experience, proficiencies and management skills. The salary for a senior general manager was increased to a midrange of $55,000 a year, while the mid-range of the average management salary rose to around $45,000 a year. Enmarket managers will additionally have the opportunity to earn a 5% bonus of their store’s net income. Enmarket’s commitment in increasing employee compensation and benefits underscores its position as a market leader and aligns with the company’s 2015 rebranding and name change, which also added new healthy snack products, fresh foods and take-home meal solutions to more than 60 store locations throughout Georgia, South Carolina, and North Carolina. Founded as Interstate Stations in 1963 by Robert Demere and more recently known as Enmark Stations, enmarket is a family-run business committed to offering its customers top-notch service and superior products. The Savannah-based company, which celebrated its 50-year anniversary in 2013, operates 61 stores in Georgia, South Carolina and North Carolina that offer high quality and competitively priced fuel, beverages, healthy snacks, fresh food, lottery services and more. Enmarket’s fuel is filtered through a trademarked Double Filtered System, resulting in gasoline and diesel that is clean and 100-percent water-free. Enmarket customers can save up to $.10 per gallon by using an enmarket cash card, a reloadable stored-value card that can be used directly at the pump. A new website, www.enmarket.com, will be debuting soon.